The pineapple has been a symbol of hospitality since the days of the early American colonies. 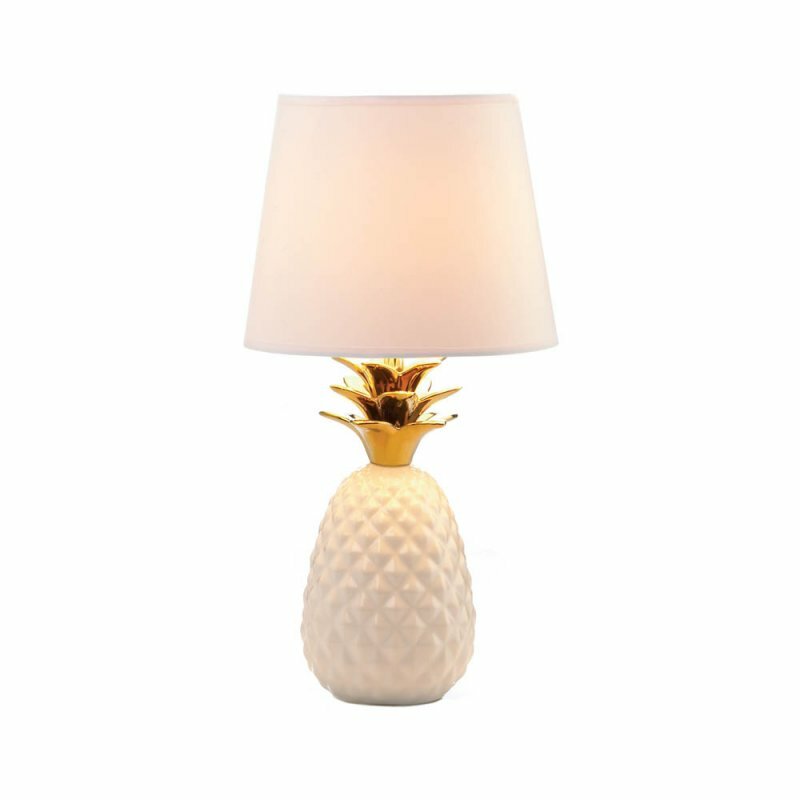 Enjoy making your home a welcoming place with this on-trend table lamp. 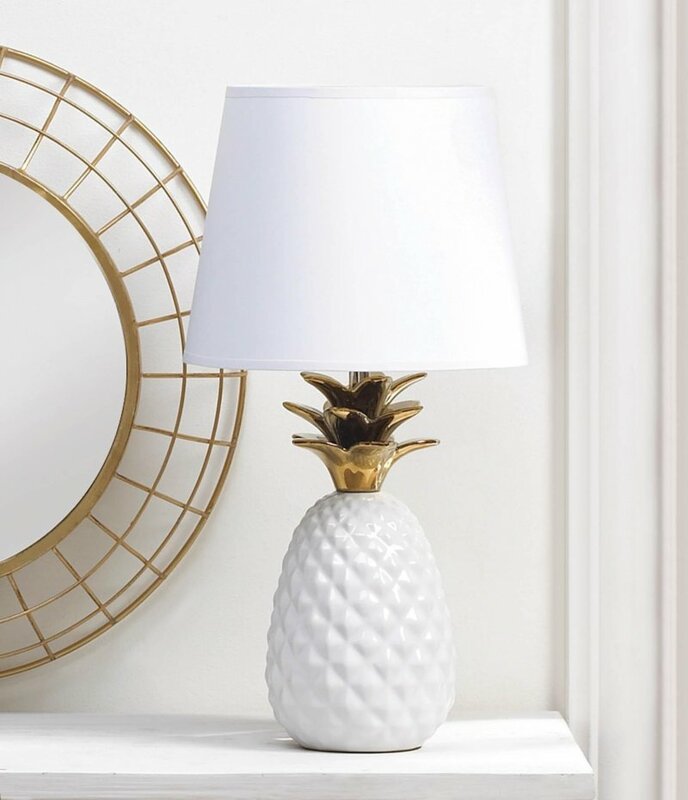 The gold spiked leaves add an eye catching appeal to the detailed pineapple base. Porcelain base with Polyester, cotton shade. UL Recognized. Uses 60 Watt bulb not included.